hese 3 ingredient Chocolate Caramel Tarts are just like the store-bought Mars Pods but so much yummier (and bigger!!!). Quick… easy… delicious! There’s a time and a place for super complicated recipes… but this is not the time, nor the place!!! This recipe is made with only 3 ingredients and so is insanely good. 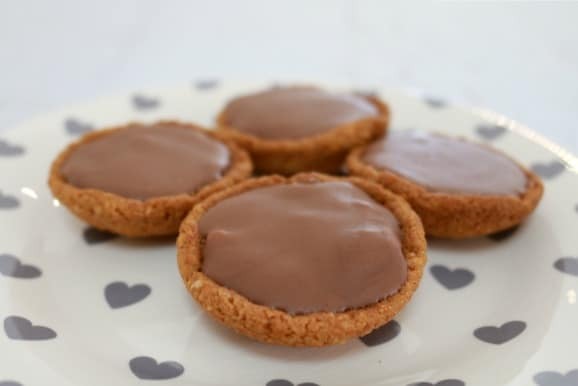 The only problem with these Chocolate Caramel Tarts is that they’re far too easy. Yep that’s a BIG problem because nothing is going to stop you from making a batch at 10pm – and we all know how dangerous that is! 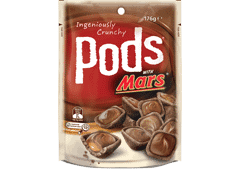 I have to admit that one of my favourite treats is the little Pods that you can buy in Mars, Twix, Snickers, Honeycomb and a few other flavours from the supermarket. They’re soooo yummy! But they’re tiny – like teeny tiny. It’s as if they’re designed for teeny tiny mini people. So I decided to make my own ‘Pods’ but for normal sized people! I’m definitely planning on experimenting with a few other flavours, but I thought it was best to start off my little pod journey with a classic caramel flavour (mainly because I love, love, love caramel). I don’t even have the words to describe how yummy they are (and yes it’s possibly the first time in my life that I’ve been lost for words). 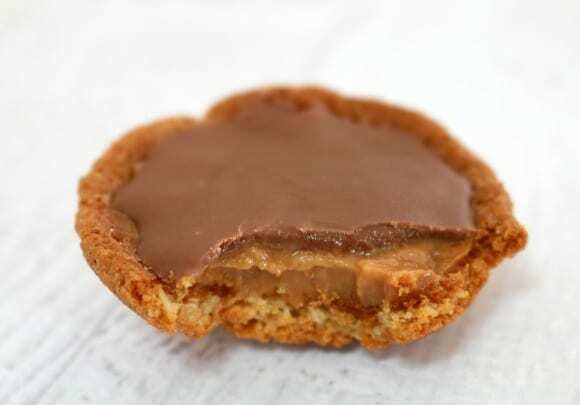 The Arnott’s website has a similar recipe to this, but you need to make your own caramel… and if you’re in a lazy mood like me, then Nestle Caramel Top ‘n’ Fill is your new best friend! 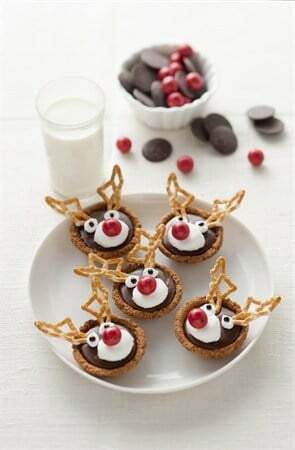 Actually while we’re talking about the Arnott’s website, they have a very cute Rudolph the Reindeer inspired tartlet recipe that could come in super handy if you’re already starting to think about Christmas food (and let’s face it – I’ve been thinking about it for months). Anyway! 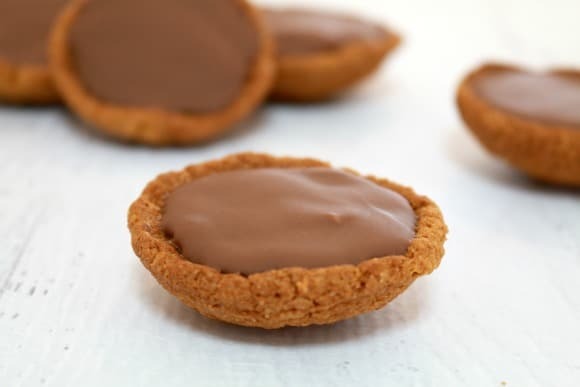 To make these Chocolate Caramel Tarts you start off by popping Butternut Snap Biscuits over the top of patty pan holes and placing them in the oven for 3-4 minutes. Once they’ve softened, you carefully press the biscuits into the patty pan holes to mould the biscuits into a tartlet shape. When they’ve cooled, add a teaspoon of Caramel Top n Fill and spread it out evenly over the biscuits. Finally, melt the chocolate and spread a teaspoon over the top of the caramel. Pop into the fridge for 30 minutes to set and then serve. I’m so conflicted over these Chocolate Caramel Tarts. On the one hand I am looooving them and their awesomely sweet flavour, but on the other hand I’m wondering why oh why they have to be so quick and easy??!!! I can definitely see these becoming a late night treat at our house…. and that my friends, is one very dangerous thing! These 3 ingredient Chocolate Caramel Tarts are just like the store-bought Mars Pods but so much yummier (and bigger!!!). Quick… easy… delicious! Place one butternut snap biscuit face down over each patty pan/tartlet hole on a baking tray – I did these 6 at a time, otherwise they harden too much before you can press them down! Soften the biscuits in the oven for 3-4 minutes. While still warm, press the biscuits down into the patty pan/tartlet hole to make a pod shape. Repeat the process with the remaining biscuits (6 at a time). 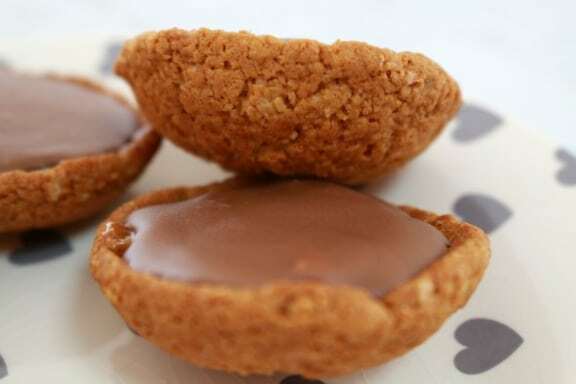 Once the biscuits have cooled, spoon one teaspoon of caramel filling into each shell and spread evenly. Melt the chocolate melts in the microwave or over a double boiler. Spread one teaspoon of melted chocolate over the top of the caramel. Pop into the fridge for 30 minutes to set.